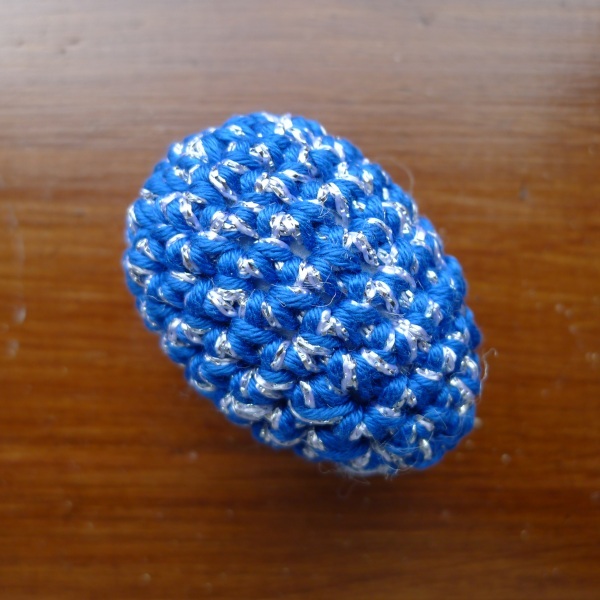 I have added the final version of my ‘Basic Crochet egg pattern’ in the ‘My Patterns’ section of the Top Menu. For a more interesting texture you could use htrs (US hdcs) for the egg after the initial six dcs (US scs). This does however mean that you can see the stuffing if you look closely. I rather like the way the surface is made up of lots of little inverted triangles. Stopping at 18 stitches for a round will give a medium size egg. 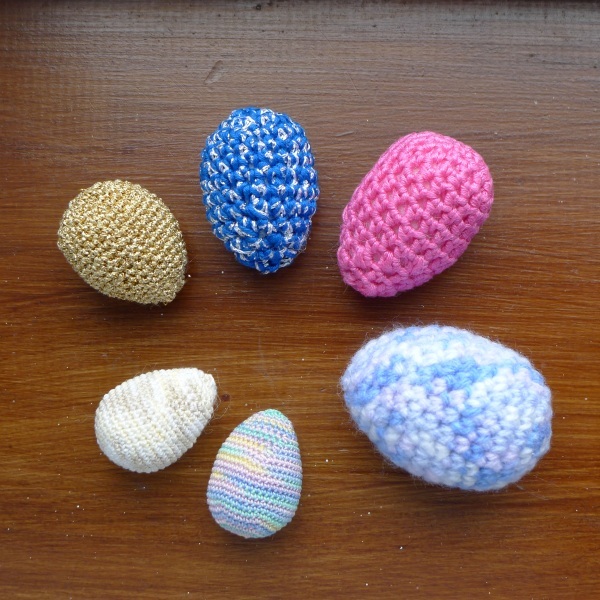 If you have variegated yarn left over from making some bed socks perhaps 🙂 you could make a naturally patterned egg. 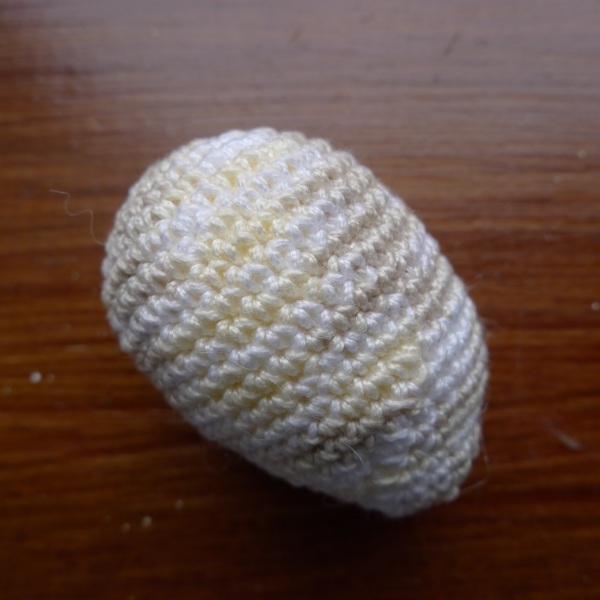 I found that my variegated yarn seemed a little thicker than some and the egg, although a 24 stitch -medium egg, was actually closer in size to the large ones. 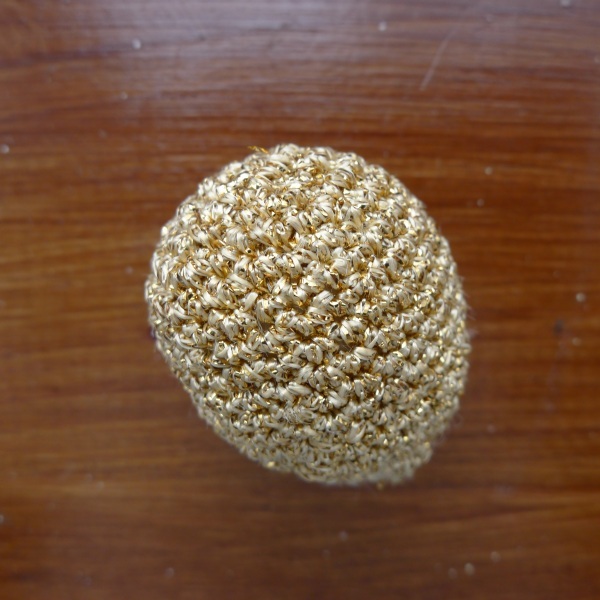 Then again if you have some gold thread left over from making stars for Christmas cards you might have enough to make a golden egg. It was a very close run thing though. I was afraid I would run out before the end. 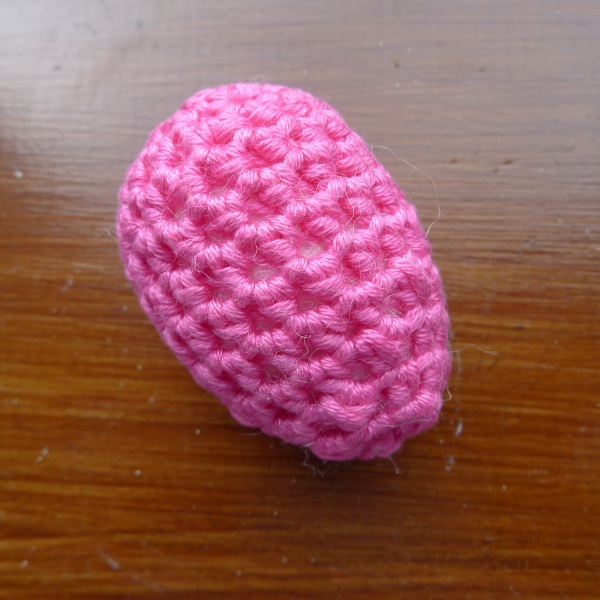 Here a 30 stitch egg is still only small. 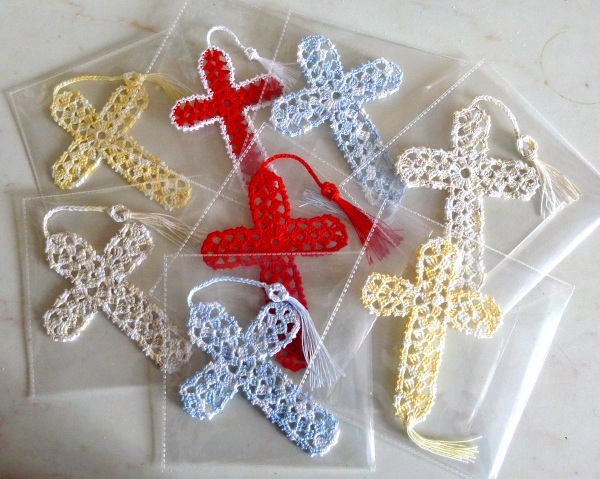 And you could use the silver thread left from making the silver stars for the same cards, together with some deep blue cotton DK yarn and make a sparkly midnight sky egg. 18 stitches and a 4.5mm hook gave me a medium egg. 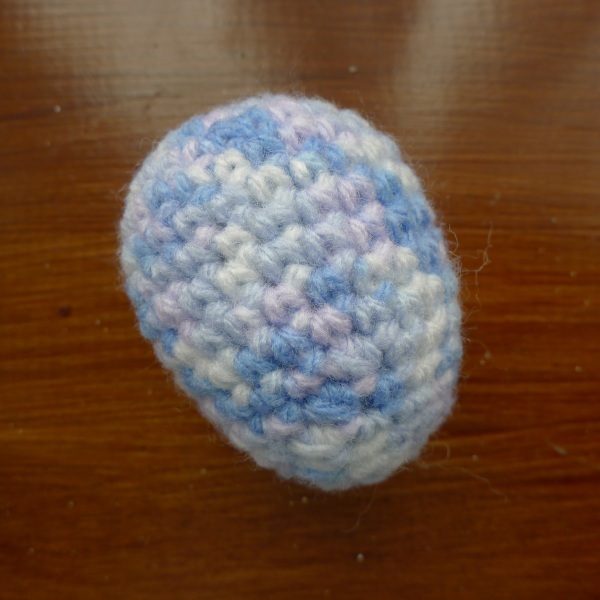 You can even use #10 crochet cotton for a little dainty looking egg. I used 36 stitches here increasing the number of middle rows accordingly. Or #20 for a rainbow coloured egg. 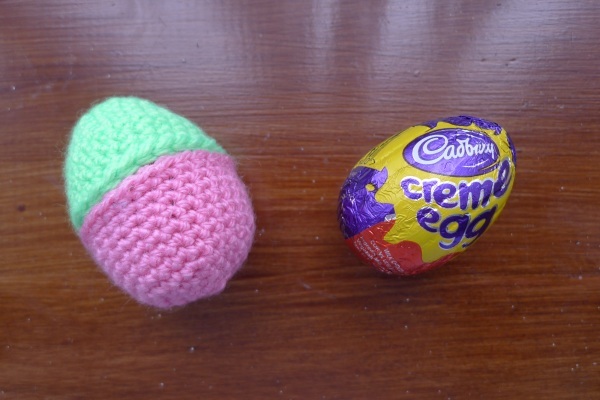 I decided to increase to 42 stitches this time and the egg came out a similar size to the creamy one. 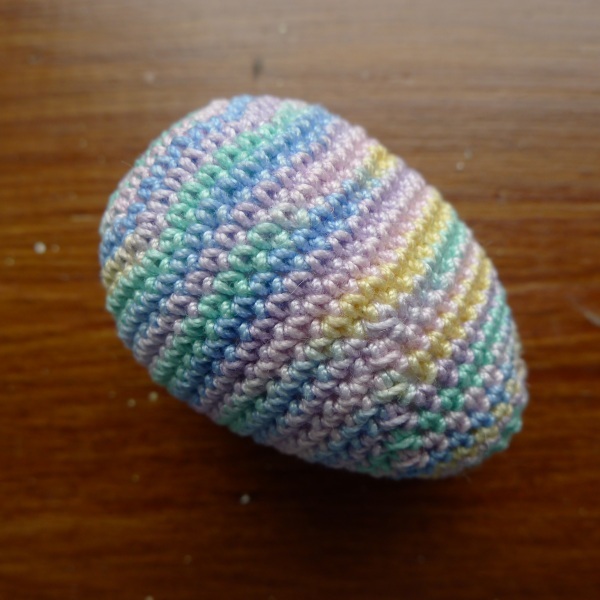 This last egg also made me decide that although the original pattern works well enough with acrylic yarn, that is very forgiving, that it would probaly give a better egg shape if at the end one went straight from 12 sts to the last 6 by doing 2dctog for the last row. 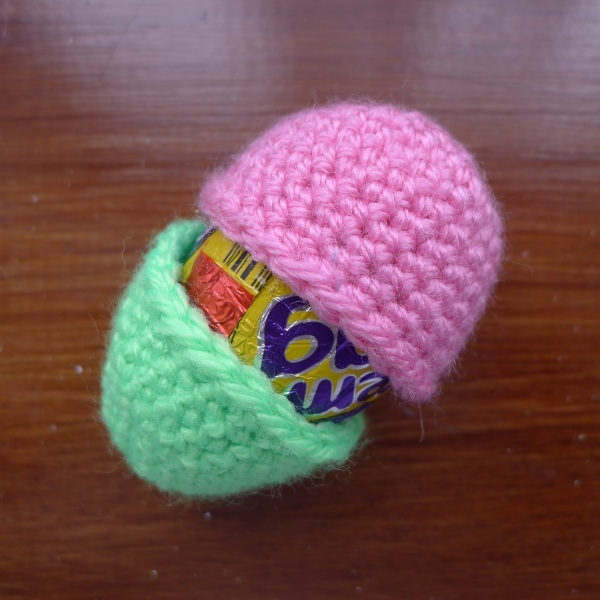 And using DK yarn of any sort, the right size hook, the right number of stitches and rows, if you stop just over half-way through making the egg and then make the bottom half of the egg by increasing three times a row instead of decreasing and then the right number of straight rows you can make a little case to hold a creme egg or other goodies. 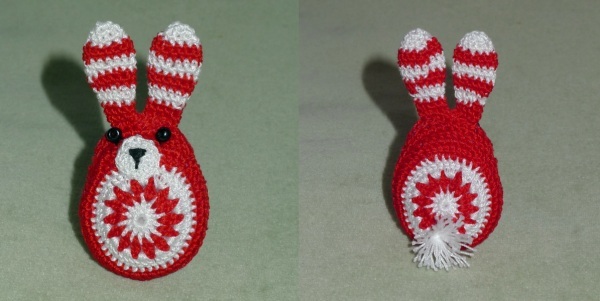 I also made one of Janette’s rabbits in #20 cotton, as that is the only one I have in multiple colours, to add to my Easter Tree. 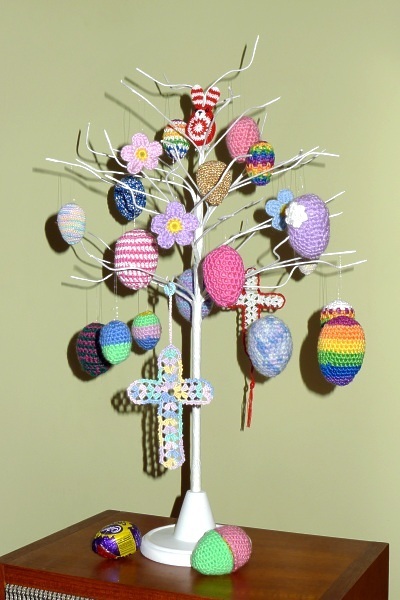 And here is a picture of the Easter tree with the extra eggs, the crosses I didn’t use for Easter cards and the rabbit. So much fun! I really like the blue on with the silver, great job :D.
Yes I liked that one too. Do you think the pattern needs amending? Any suggestions gratefully received. I’m glad it’s not just me that’s gets a bit carried away/obsessed with making lots of the same thing! Your tree is gorgeous !!!!!! Next Post CAL 87-89 I think I like these!